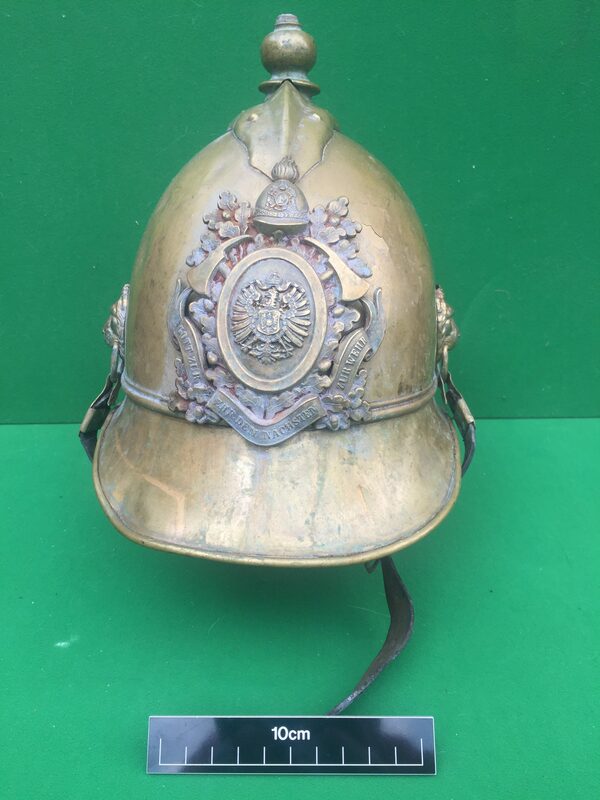 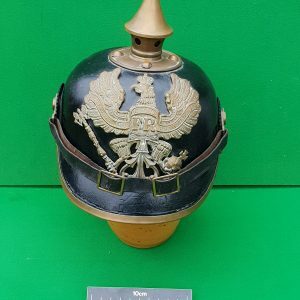 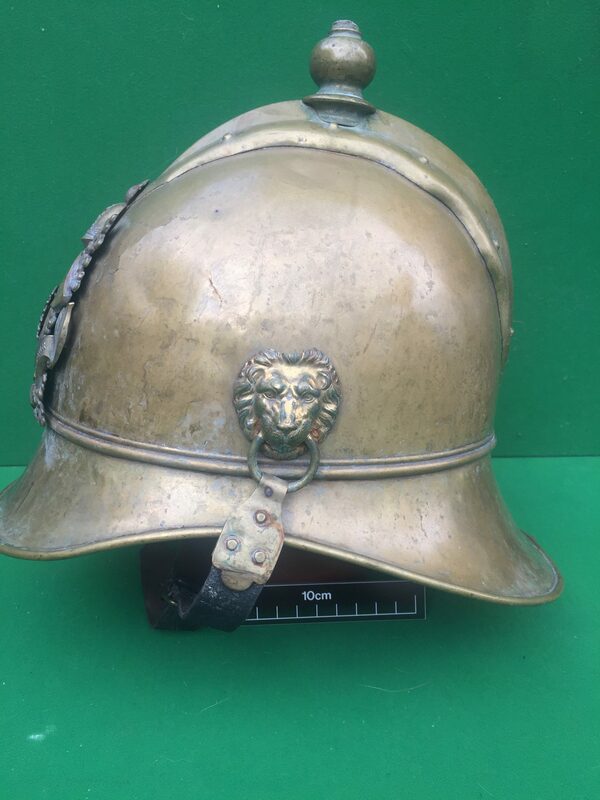 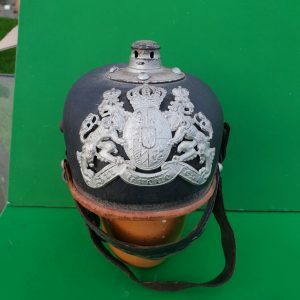 A fine example of an Imperial German helmet worn by a member of the fire service. 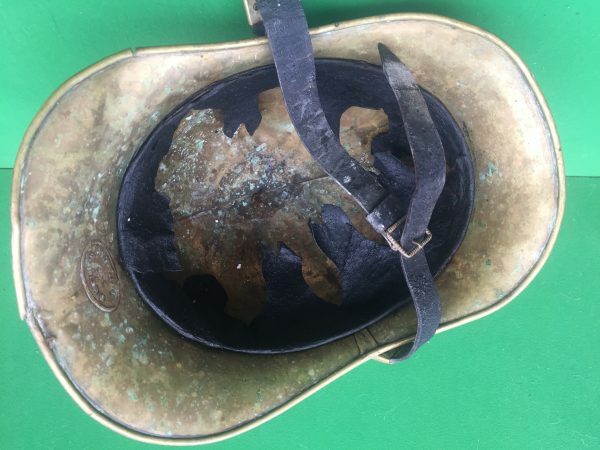 All original, untouched and with its original internal leather liner. The helmet is in untouched condition. 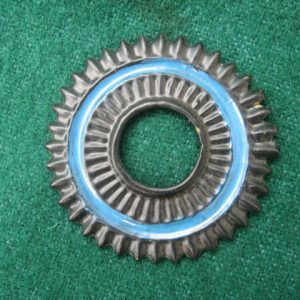 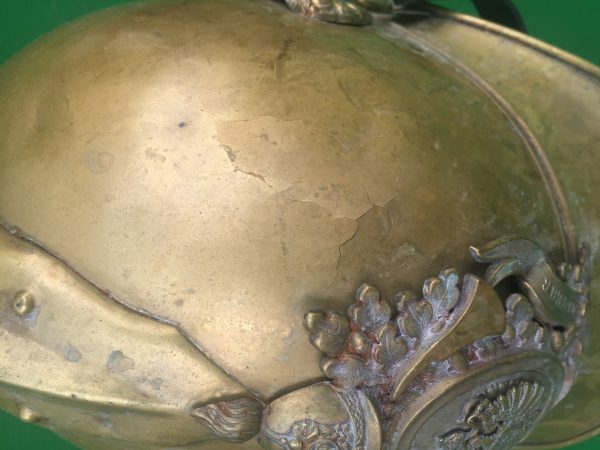 It has a scalloped comb at top, with a centrally attached ball finial. 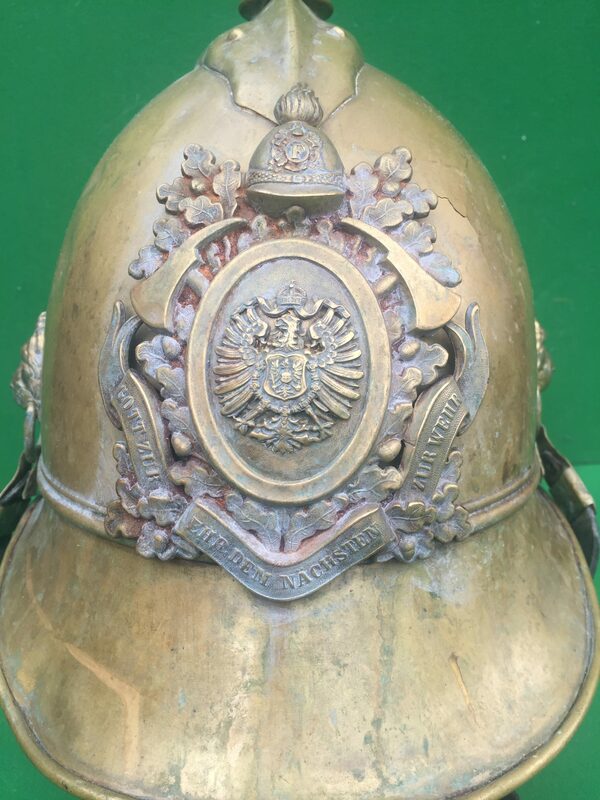 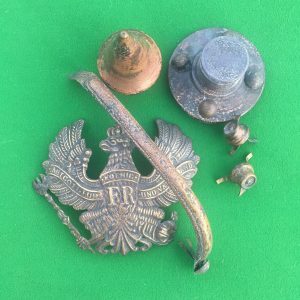 This is all above the fine quality multi piece Imerial German Fire Service helmet plate badge at centre front of helmet. 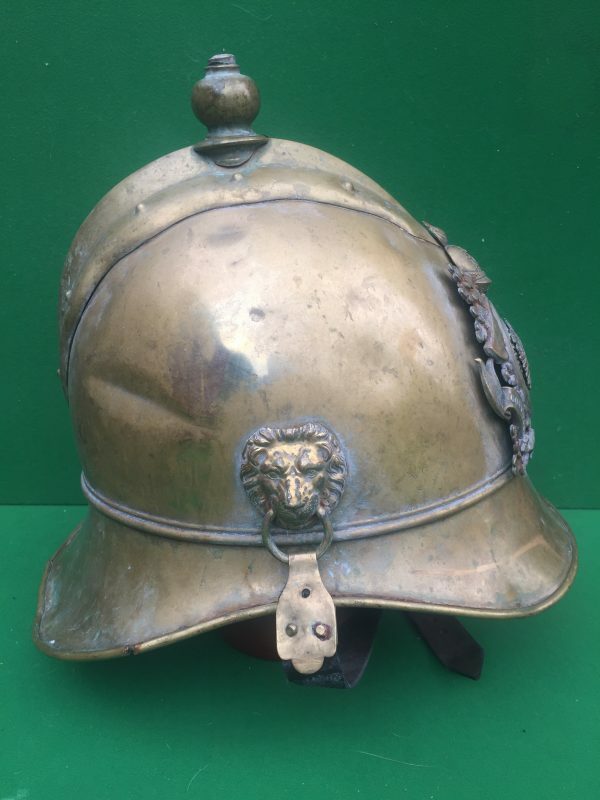 The leather chin strap is suspended at either side of the helmet by lion masked rings. 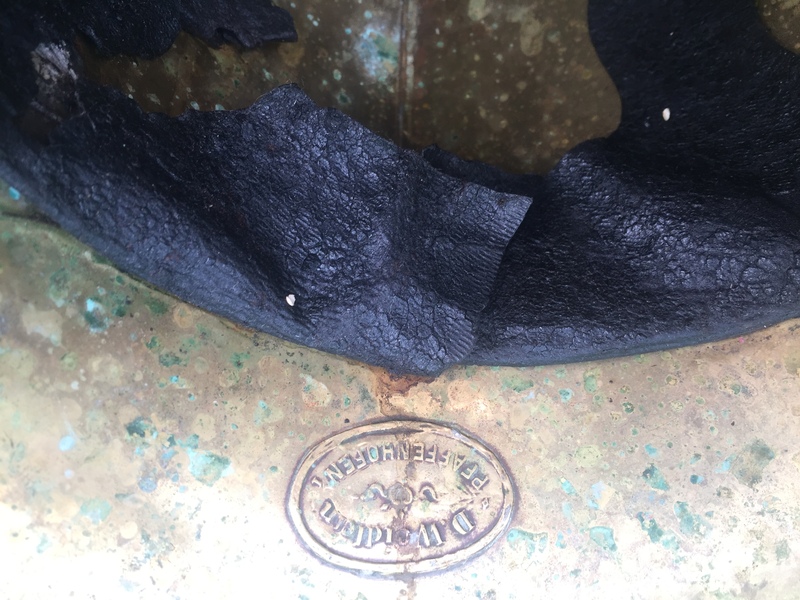 The black internal lining is original to the helmet, the liner is somewhat sticky which suggests it may have been treated with a leather softener. The helmet has some obvious service wear with some dents and cracks. 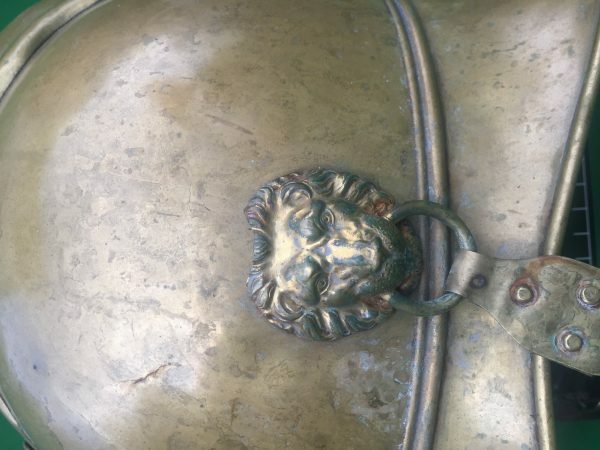 The brass has developed a rich patina over the years. I’d suggest the skull would benefit from a good polish and laquour so that it could be brought back to its orignail bright shiny brass appearance. 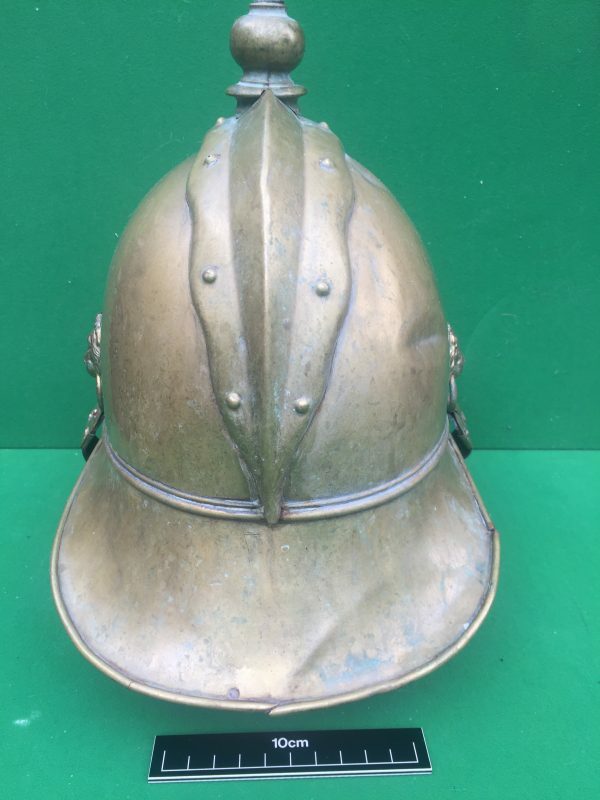 A nice item that would benefit from some light cleaning.